Our first guest blogger of 2013 is a widely known member of our community: Professor Jan Trost. Jan is a Professor Emeritus of Sociology at the Uppsala University, Sweden. He was President of the committee from 1986 to 1994, and is now our honorary President. 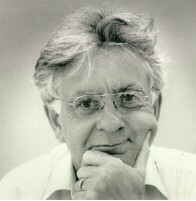 Jan is internationally renowned for his research in family studies and symbolic interactionism. Many years ago, during the 1970s, I was an expert to a Governmental Committee designed to suggest changes of the matrimonial laws in Sweden. When, at the end of the 1970s, I presented my studies on non-marital cohabitation to the Governmental minister of law, I very clearly, according to my own opinion, told him that those who were the first ones some years ago to start cohabitation were choosing away marriage, they were against marriage and marrying. And I also told him that, now after some years, those who started to cohabit did not choose not to marry. They just did what almost everyone else did: they started living together. Later they might marry. The minister listened and said that he fully understood what I meant. When he later the same day met mass media he said that nowadays, according to studies at Uppsala University, it is clear that lots of couples choose away marriage, choose not to marry, and start to cohabit! Evidently what I said went into one ear and out through the other ear. we lose them. But we do not choose! Still lay people and colleagues go on saying that couples choose not to marry. They did so when it was a new movement but not now when all do so. And this is not only a Swedish phenomenon. Another phenomenon connected to this issue is the dominance of the word, the term, marriage. It has a defining power in our verbal behavior. We easily speak of non-marital cohabitation which indicates that they live together without being married, and thus against the old norms, meaning marriage. We also differentiate between children born by married mothers from those born by not-married mothers. At the same time we, at least we family sociologists, know that in the Western world almost all start living together without marrying and many have children when cohabiting. And they do not choose away marriage, they just start living together. Some marry later, some separate and some die. A variety of Ogburn’s cultural lag from 1922? My answer would be yes, but then we have to change the idea from material changes coming first and social changes later. Here one social cultural change is followed by a cultural lag in the form of lagging language adaptation, meaning that another social cultural change does not coinside; it is lagging.